An E-mail account is very necessary in this present world. It helps us in different platforms. 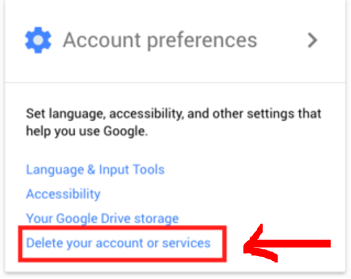 But if you’ve decided that you no longer want to use your Gmail account, you can choose to remove your email address from your Google account. 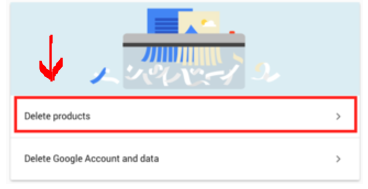 Deleting your Gmail address will delete your emails and content saved within Gmail but note that it will not delete your Google account, Google search history, or any other information associated with your Google account such as YouTube history or your Google+ page. Note that you will no longer be able to access any of your emails after deleted your Gmail account. So, let’s know how can you delete your gmail account. 1. First of all, of course you must sign in to your account and head to the My Account. 4. Now you can see that all of your active Google accounts will be listed here. 6. After select the gmail option you need to click Remove Gmail permanently and verify your selection. You will be asked to provide a new primary email address with which to log in to other Google services. 7. You will be sent an email from Gmail with the subject Gmail Removal Confirmation , once you’ve confirmed your selection. 8. Now, you just need to click on the link to reconfirm your account removal, and then click on Verify to finalize the removal. Note: Instantly your account will not delete, your Gmail account will be removed from the server with 48 hours.